I cannot have a senior. I just can't. But there is this adult male in my house who has been homeschooling for a dozen or so years, and he seems pretty convinced he is an actual grown-up. Which means that I do have a senior. And he is graduating. Diplomas? I was not ready to think about them. 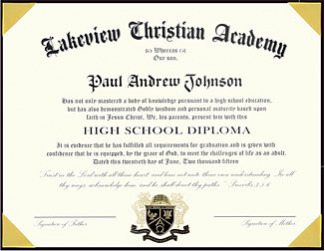 So it was a thrill to end up with the opportunity to receive an Exclusive High School Diploma from HomeschoolDiploma.com. We are not blessed with a homeschool co-op that does massive graduation ceremonies and handles all those details each year. We've talked about graduation a bit, but nobody here has been all that excited about putting a big to-do together. Now that we have a diploma, maybe we do have to actually do something besides just hand it over to him. 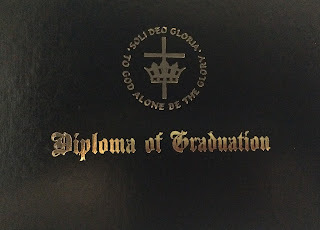 Creating a diploma was nowhere near as intimidating as I had feared. You pick a basic style for your diploma, and then you just start making choices as they are presented to you. 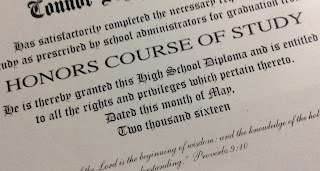 You can read more about the diploma styles at their Diploma Buying Guide, and it is a good idea to look that over pretty thoroughly before you start the ordering process. The first decision was the seal. We chose a Christian Education seal with the words "Thy Word is Truth" on it (pictured below), but there are three other options. The next section is easy, just asking for the student's name and gender. Gender is needed for any "he" or "she" phrases on the diploma. You also list your school name, city and state. At that point, the decision making starts to be more challenging. HomeschoolDiploma has some great choices for phrasing the main section of the diploma, but figuring out which to use did take some time. Do you want to mention meeting state requirements? Do you want to explicitly state that it is a home education diploma? Do you want a reference to college prep or honors study? That's what we ultimately decided to do, after reading each of the four main choices, and all the variations in them. 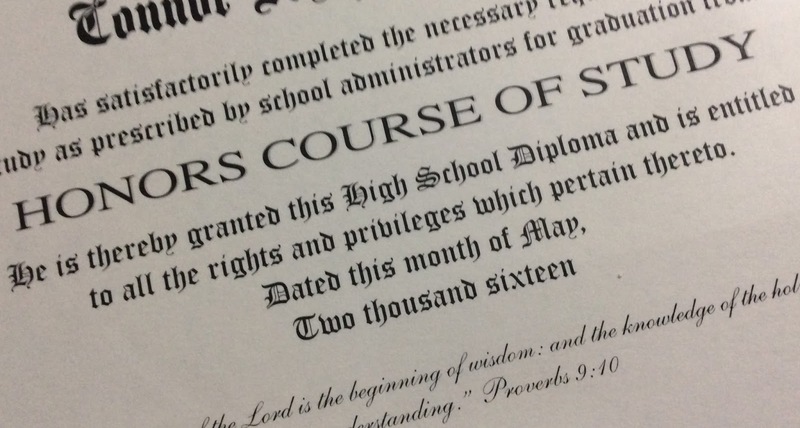 We chose to add Proverbs 9:10 to Connor's diploma. They have choices of Jeremiah 29:11 and Proverbs 3:5-6 also, or for a small fee, you can add your own. This is a stock photo, as I'm not completely comfortable putting the entirety of Connor's diploma online. The remaining choices aren't too difficult. Which paper, what font, honors designations, who is signing it, that kind of thing. Some of those options have additional charges, and for us that made it easier. Go for the no additional fee choice, pretty much every time. One thing we did add, though was an honors designation. That is in a "seal" form, and both it and the Christian Education seal are firmly attached to the paper. I should mention at this point that the paper is a good, thick paper that is higher quality than my high school diploma was! It is held into the folder with ribbon, which is firmly attached and holds the diploma and a piece of acetate in quite firmly. The great part about the ordering process is that you can always do a default in a section, work through to the end, and bounce back to finalize something. You can't skip ahead, though, which is a good thing, as it forces you to look at each section. I would advise you to pay attention, as it is quite easy to flip right by the dates. You'd end up with a diploma dated January, 2016 if you do that! Once we placed our order, we just had to wait for the diploma to arrive. It came quickly, and it does look very nice. I am impressed with the quality, and the fairly painless process of creating it too. It even includes information about how to sign the diploma! HomeschoolDiploma.com is about more than just diplomas, though. They have class rings, caps and gowns, tassels, and some beautiful graduation announcements. They enclosed a couple of samples, and these are high quality. They even have cute Kindergarten Diplomas, and Eighth Grade Diplomas as well. I know we aren't the only family who struggles to figure out a way of commemorating this special milestone in their child's and family's homeschool journey. I know we aren't. HomeschoolDiploma.com makes it simple to present your graduate with a real diploma, and the whole cap & gown experience if you want to do that. We're now thinking about inviting people over to church some weekend afternoon, and doing a fairly informal ceremony, embarrassing him only a bit. Well, okay, truthfully, it is likely to include a lot of that. 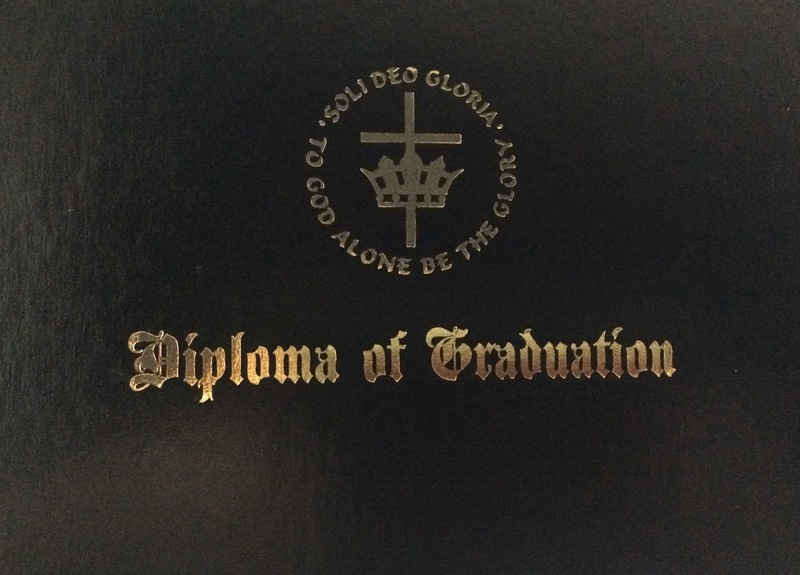 Go see what other Crew members had to say about their experience ordering diplomas!